The movie, 13 Minutes, dramatically chronicles the 8 November attempt to assassinate Adolf Hitler. A glance down the list of main characters throws up a most interesting and familiar name. Arthur Nebe. For those with any knowledge of The Great Escape story, the name needs no introduction. SS-Gruppenführer Arthur Nebe was directly responsible for selecting the fifty escaped POWs who would be shot. History primarily remembers the man for this fact, yet there were other sinister events in his life of no less significance, some of which resonating right through to the present-day. Born in Jablonskistrasse, Berlin on 13 November 1894 to an elementary school teacher, Arthur Nebe graduated from the Leibniz-Gymnasium in the Kreuzberg district of the city. With the advent of war, he served in the 17th Pioneer Battalion. In the trenches, he was twice caught up in poison gas attacks, and for his overall conduct there awarded the Iron Cross 1st Class. Following Germany’s defeat, Nebe found employment with Berlin’s detective bureau, the Kriminalpolizei, or Kripo as it was more simply known. By 1924, he had risen to the rank of Police Commissioner and that same year married Lisel Schaeffer. The couple had one daughter two years later. In 1928, he was put in charge of the Kripo offices in Potsdam and Frankfurt an der Oder. His work there was typical law enforcement, investigating crimes from narcotics trafficking to homicide. On 1 July 1931, Nebe became an official member of the Nazi Party. Nebe was instrumental in the formation of the National Socialist Civil Service Society of the Berlin Police and through this became associated with many prominent Nazis. One of this new circle recommended him for the position of Chief Executive of the State Police. In July 1936, Kripo was merged with the Gestapo and became the criminal police force of the entire Third Reich. His counterpart and direct superior in the Gestapo was SS-Obergruppenführer Reinhard Heydrich. He officially joined the Schutzstaffel (SS) on 2 December 1936, and his somewhat meteoric rise to prominence continued. First, Nebe was promoted to SS-Gruppenführer, then shortly after awarded the overall command of Kripo. He was now mixing in the highest circles of the Third Reich. As Germany’s actions inevitably brought about the start of World War II in 1939, Nebe was summoned in November of that year to assist with the investigation and interrogation of Georg Elser. On the face of it, a simple carpenter and clockmaker, Esler was charged with attempting to assassinate Adolf Hitler during a commemorative rally at the Bürgerbräukeller in Munich. While many of his colleagues believed Elser was part of some greater international conspiracy, Nebe held to the view that the bomber was just a disenchanted lone wolf. Controversy on that subject still exists to this day. While Nebe’s career achievements were mounting, his private life was somewhat less illustrious. He had a reputation as something of a philanderer and a string of mistresses had done little to help his marriage. Like many within the Reich, he also shared an abiding obsession with astrology and other mystical matters. In late 1939, Nebe assigned a select group of Kripo officers for duty with the Aktion T4 euthanasia program. Their role was essentially that of supervisors for the various centers established to kill the sick, disabled and elderly. Always ambitious, Nebe put himself forward in August 1941, to command Einsatzgruppe B, one of the main SS Death Squads. Shortly after, Nebe addressed the Mogilev Conference, dealing with the security threats posed to the Reich by partisans and other unsympathetic elements. Following this meeting, there was a significant rise in atrocities committed against the Jews and Roma population, with many such acts perpetrated by his own division. Earlier that year, Nebe had organized a demonstration of mass-killing by shooting in the presence of and for the benefit of Himmler. However, the event in Minsk only succeeded in making Himmler ill and creating within him concerns about the psychological impact such a method would have on the SS soldiers involved. Nebe was charged with finding a means of mass-killing that was more clinical and convenient. 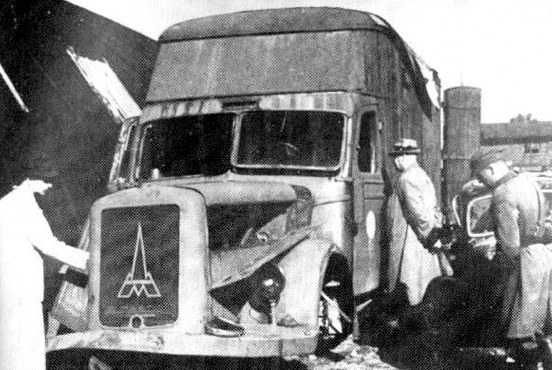 Carbon monoxide gas was discussed as a possible option as this was already being used successfully by the Reich as part of the Aktion T4 euthanasia program. When his division Einsatzgruppe B was tasked with exterminating the patients of mental hospitals in the cities of Minsk and Mogilev, the pressure was increased on Nebe to come up with an effective means. Nebe sought the assistance of Dr. Albert Wildmann at the Kripo headquarters, who agreed to accompany him to Minsk, though not before discussing the matter with Dr. Walter Heess, the director of the Criminal Police Technological Institute. As a result of their conversation, Dr. Wildmann took with him on the mission a supply of explosives and metal gas pipes. After an initial experiment to kill twenty-five mental patients with explosives yielded less than satisfactory results, the two men turned to the second alternative, carbon monoxide gas. At the mental hospital in Mogilev, five patients were placed in a room which was sealed to be airtight. One of the metal pipes brought by Dr. Wildmann was inserted into the room and the fumes from a car fed within. The men were surprised when almost 10 minutes later the effects were viewed to be minimal. They decided to add the gasses from a second vehicle into the equation. Only moments later, all in the room were dead. Inspired by the results of this experiment, Nebe came up with the idea of converting a van into a mobile euthanasia chamber, utilizing carbon-monoxide from the vehicle’s exhaust as the killing agent. With technical assistance from Dr. Heess, Nebe developed a blueprint for just such a contraption, which the two men in due course presented to Heydrich. The method itself was not entirely original. A regular vehicle had been used by the Germans as early as 1940 to kill mentally ill children in Poland. What Nebe was proposing, however, was to perfect the concept into a custom-designed mobile killing machine. Heydrich was impressed, and immediately ordered that the vehicles should go into production. With the annexing of Austria in 1938, the world’s international police organization, INTERPOL, had fallen under the control of Nazi Germany. Alongside his other duties, Nebe took over the role as President of this influential body in 1942, following an assassination-attempt which incapacitated the post’s previous occupant, his commanding officer, Heydrich. The night of 28 March 1944 was to largely define Arthur Nebe’s role in history. SS-Gruppenführer Heinrich Müller, chief of the Gestapo, instructed him to select 50 of the recaptured POWs from the recent escape from Stalag Luft III to be executed. The command came directly from Adolf Hitler and was known as the Sagan Order. With help from his assistant Dr. Hans Mertens, Nebe divided the records of the fifty captured airmen into two piles. Those who were to be shot were marked with a red cross and placed in one pile, the fortunate ones who were to be spared placed in the other. This took considerable time as Nebe deliberated over who should be in which pile. 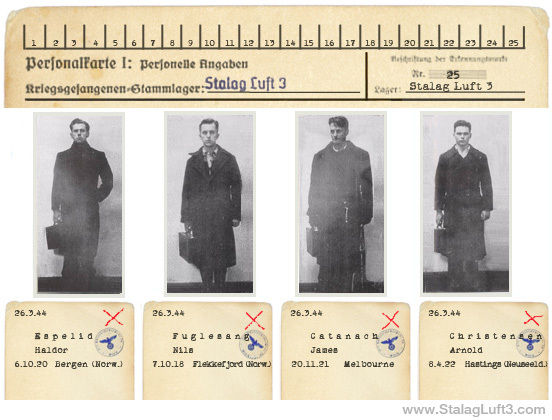 At the end of the process, the details were passed to Müller who in turn relayed the information by confidential teleprinter to the various local Gestapo headquarters responsible for the captured POWs. While it lacked the usual official protocol, it was their death warrants. With the outcome of the war looking increasingly unfavorable, and his list of crimes, including the murder of the Allied airmen, clearly weighing on his mind, Nebe’s survival instincts took over. Hoping to somehow transform himself from villain to hero, Nebe became involved in Operation Valkyrie, the 20 July bomb plot to remove Adolf Hitler. For his part, Nebe was supposed to lead a team of like-minded police officers to kill no less than Himmler once the Führer had perished. The story of what occurred in the Wolfsschanze (Wolf’s Lair) that day is well known. Hitler survived, the coup failed, and the men involved were in due course brought to justice. In the aftermath, Nebe panicked and dropped out of sight, though this only succeeded in drawing suspicion toward him. On 24 July, an arrest warrant was issued for him in relation to the plot. He retreated further into hiding, using an assortment of disguises and a network of friends in an effort to evade capture. However, the Gestapo did eventually catch up with Nebe, following a tip-off from a scorned mistress, and he was arrested at Töpchiner Chaussee near Lake Motzen in February 1945. He was promptly tried and sentenced to death by the Volksgerichtshof (People’s Court). Arthur Nebe was hanged at Plötzensee Prison in Berlin on 2 March of that same year, though not conventionally by a rope. In accordance with Hitler’s orders that the plotters should be “hanged like cattle,” he met his death by means of a piano-wire and meat hook. However, his ghost was never truly laid to rest, with reports circulating long after the war that he was, in fact, still alive and holed up in a variety of countries. 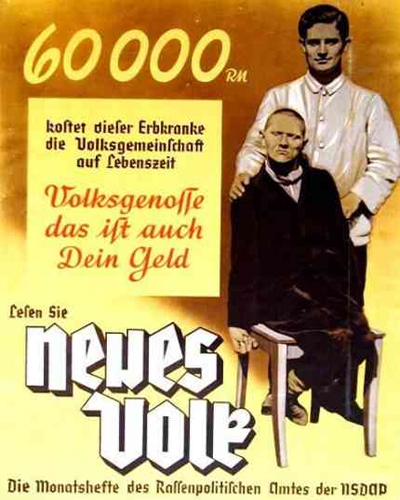 The Nazis coined the term “Mercy Killing” for the involuntary euthanizing of the sick, elderly and disabled. In this propaganda poster from the 1930’s the cost of caring for such people is put forth as a fundamental justification. Inside scoop from the Editor – Watch out for the forthcoming book, The Second Gospel of Peter, a work based on an explosive true story. It will answer all your questions on the subject and more. The Scrounger – It wasn’t Cricket….